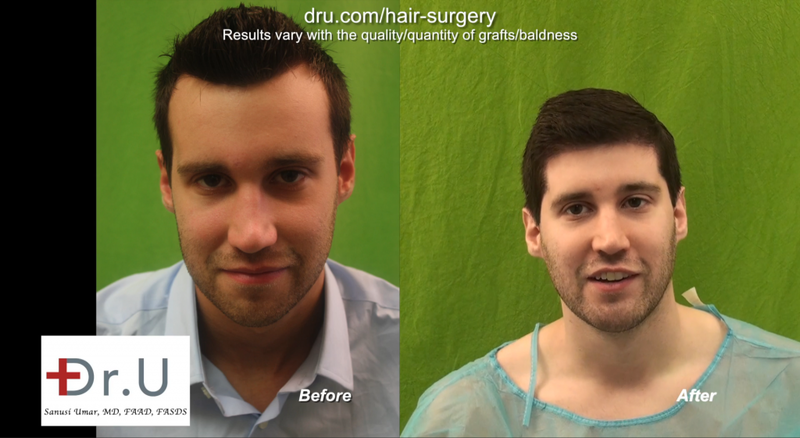 BEFORE: This patient came to Dr. U for an aggressive hairline and temple advancement with the goal of reducing the size of his forehead. 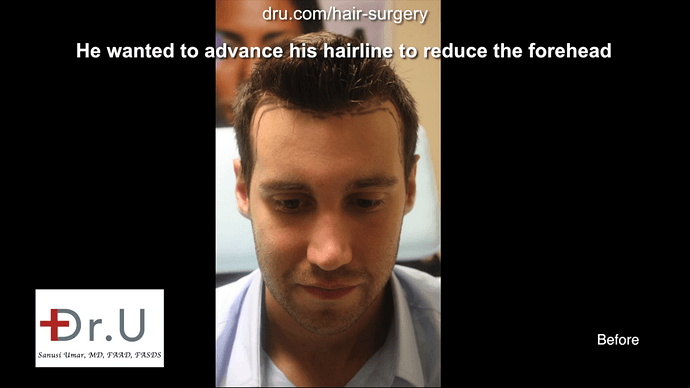 He had always been unhappy with his naturally uneven hairline, and after doing some research he concluded that the only way that he would be happy with his hairline would be to lower it towards the forehead. 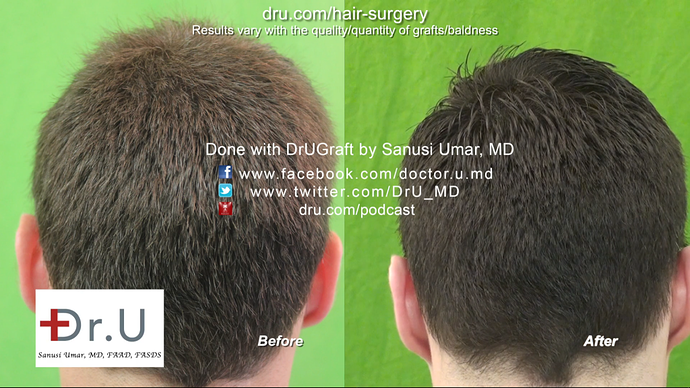 Dr U was able to achieve this patient’s hair goals with his DrUGraft Advanced FUE technique. THE PROCEDURE: The patient and Dr U in consultation decided that it would take about 3200 head donor grafts from the head and nape areas to craft a new hairline. By moving the hairline lower and sculpting new temple points, the forehead’s size would be reduced in a credible, natural looking way. 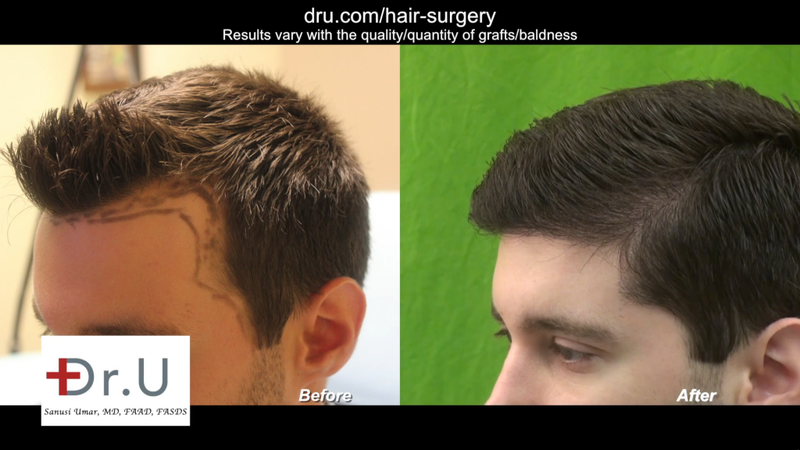 Dr U has published about this subject in the Aesthetic Surgery Journal, where he detailed the results of using nape hair in hairline and temple creation using advanced FUE techniques. 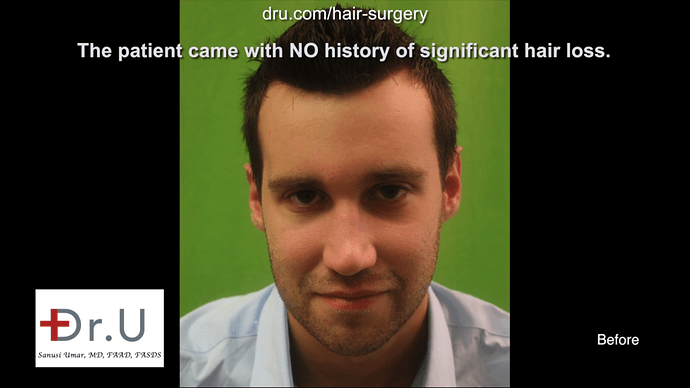 In the paper he also described a screening method for selecting good candidates for the use of nape hair in transplantation. PATIENT TESTIMONIAL: Previously the patient was only able to wear his hair straight back. 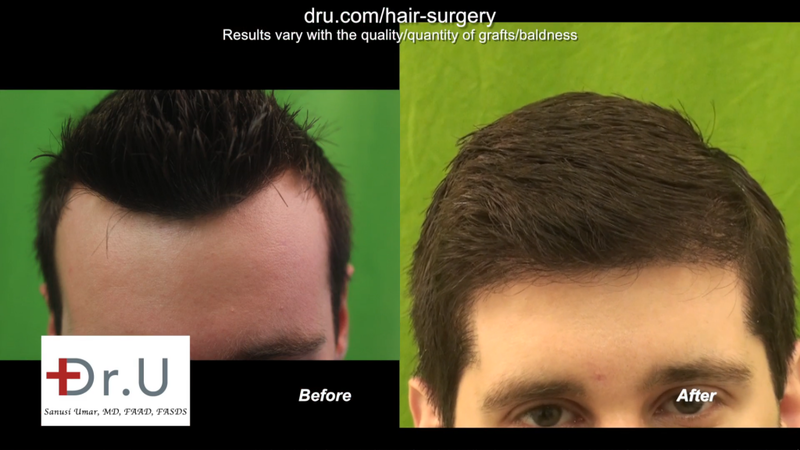 With the transplant he is able to part and style it in a variety of ways, giving him the freedom to control his look. He is very happy with his result. 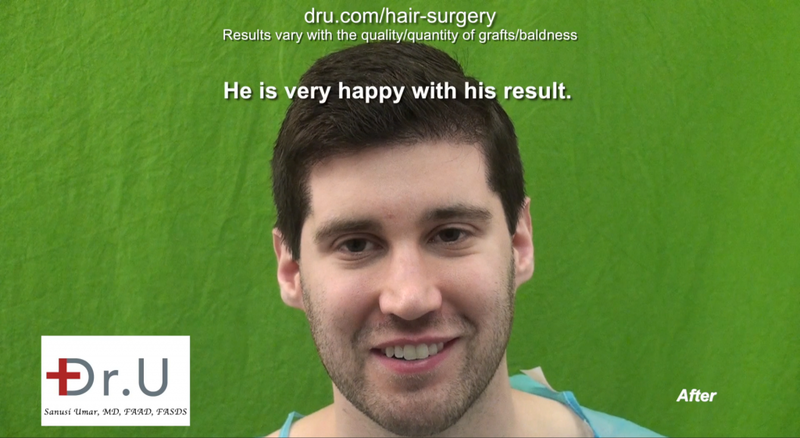 You can read more about this patient’s very successful hairline transplant forehead size reduction and watch his video here. Looking at Dr Umars work you see a lot of body hair transplants to repair previous work where patients have depleted donor supply. I often look at the work and appreciate that the best possible scenario has been achieved but I personally would not be happy with the result. This example shows to me that when Dr Umar is not working from a massively disadvantageous position, results close to perfection can be achieved. 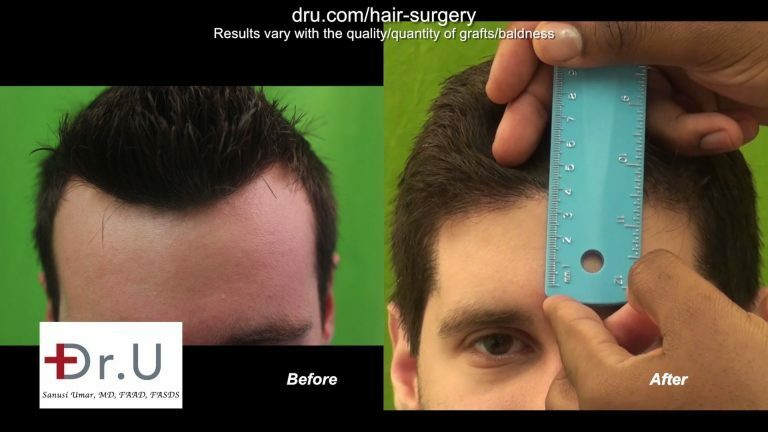 This is an exceptional hair transplant that would be desirous of anyone who had further loss fully under control. Great job that makes the patient look a lot younger. I personally would have flattened out the hairline instead of bringing the center down because his forehead looks too small, IMHO.